There was a good turnout of stock for the first Leicestershire County show in 10 years held for the first time at the new showground in Market Harborough. Claiming the beef inter-breed title was Northview Clover, a South Devon cow by Welland Valley Crusader from Oliver Brewin. In-calf again and shown with its bull calf by Welland Valley Dynamic at foot, the seven-year-old was reserve breed champion at Rutland show and second at the national show at Royal Cheshire. Mr Brewin runs 25 South Devons alongside 250 ewes at Thorpe Langton, Leicestershire, as well as working for Malcolm and Thelma Broome, with their South Devon herd. The judge, Jim Park, Congleton, said his champion was a great example of the breed with femininity, size, scope and capacity. Standing reserve was the Hereford champion, Rempston 1 Comply Or Die, a September 2013-born bull, by Dorepoll Nationwide, from Peter Cobley, Lutterworth. Bought from breeder, James Ludgate at the breed society sale last year, it was inter-breed champion at Hertfordshire County Show. The junior championship went to James and Vanessa Webb, Billesdon, Leicestershire, with their January 2015-born Charolais heifer, Wissington Lollypop, which was also one of the winning group of three alongside the Webb’s home-bred heifer, Rushfield Jessie, and Ashby Jameelia, a heifer from D. and C. Noton, Grimsby. Frank Page, Elkington, Northamptonshire, took champion and reserve in the commercial section. The supreme rosette went to French Maid, 17-month-old heifer, by the Limousin bull, Heathmount Frenchconnection, out of a British Blue cross cow, was shown by his 10-year-old son, George. 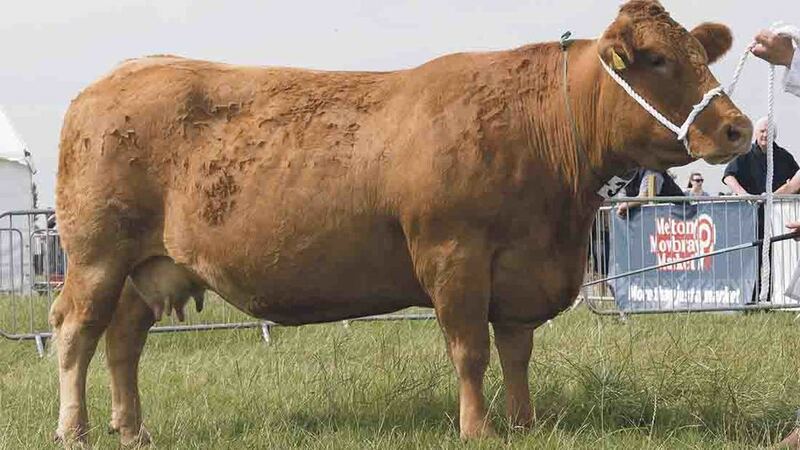 Taking the reserve ticket was Scrum Half, a steer by the Limousin, Pembridge Dell Boy, also out of a British Blue cross cow which had been champion at Ashover. In the sheep rings the supreme championship went to Richard Laban, Lutterworth, with a home-bred two-shear Beltex ewe from his Kimcote flock which was being shown for the first time. 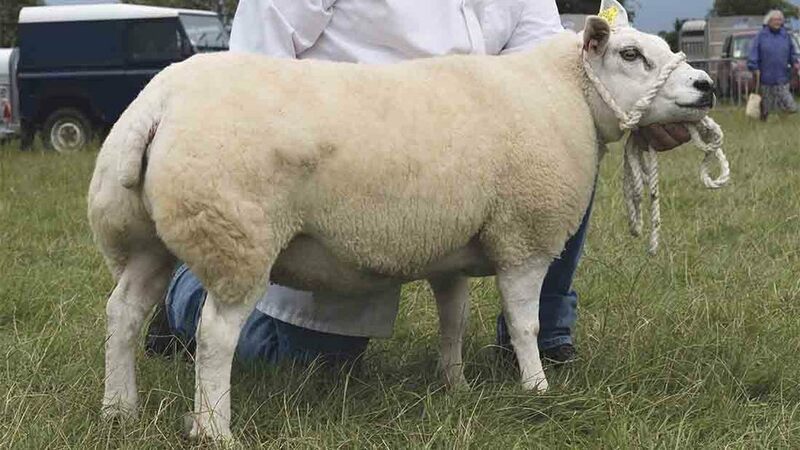 Reserve was the any other continental breed champion, a home-bred Suffolk shearing ewe from 14-year-old Jack Gratton, who run seven Suffolk alongside his 27 Texel ewes at Spalding in Lincolnshire. Inter-breed (J. Barber, Congleton) Sup., O. Brewin, Northview Clover; res., P. Cobley, Rempstone 1 Comply or Die. Commercial (T. Webster, Melton Mowbray) Supreme, F. Page, French Maid; reserve, F. Page, Scrum Half. Hereford (M. Gray, Bromyard) Sup., P. Cobley, Rempstone 1 Comply or Die; res., P. Cobley, Kinglee 1 Nichole. Any Other Native Breed (M. Gray, Bromyard) T. Cockerill, Greenley Gypsy Jay (Beef Shorthorn); res., R. Heard and G. Towers, Greenley Jaguar (Beef Shorthorn). British Blue (J. Neachell, Aldridge) Sup., J. and W. Laight, Witham Bank Jade; res., J. and W. Laight, Witham Bank Javelin. Charolais (D. Pawson, Blackburn) Sup., D. and C. Noton, Ashby Jameelia; res., J.R. and V.A. Webb, Rushfield Icarus. Any Other Continental Breed (J. Neachell, Aldridge) G.R. Fountaine, Calverton Lad (Limousin); res., G.R. Fountaine, Coachhouse Louisianna. South Devon (P. Claridge, Buckingham) Sup., O. Brewin, Northview Clover; res., M.E. and T.E. Broome, Welland Valley Claudia. Dexter (M. Bancroft, Stratford upon Avon) Sup., M.R. Bowles, Linford Senna; res., C. Bowles- Robinson, Northbrook Caroline. Inter-breed (A. Neachell, Aldridge) Sup. Native and Downbreeds (R. Banks, Cambridgeshire) Sup., T. Gratton (Suffolk); res., K. and A. Stickels (Southdown). Continental (T. Greenow, Melton Mowbray) Sup., R. Laban (Beltex); res., H. and J. Pamplin (Blue Texel). Jacob (S. Taylor, Redditch) Sup., R. Chapman; res., A.R. and J. Smith. Native Longwool breeds (B. Glaves, Scarborough) J. Woodbridge and M.
Wallis (Greyface Dartmoor); res., J. and S. Bailey (Black Leicester Longwool). Primitive and minority breeds (R. Banks, Cambridgeshire) Sup., S.A. Hill (Kerry Hill); res., L. Lombardi (Shetland). Commercial (T. Greenow, Melton Mowbray) G.J. and S.L. Gowling; res., G.R. Fountaine.